I just got work that they now offer a dueling zip line I’ve never tried this. 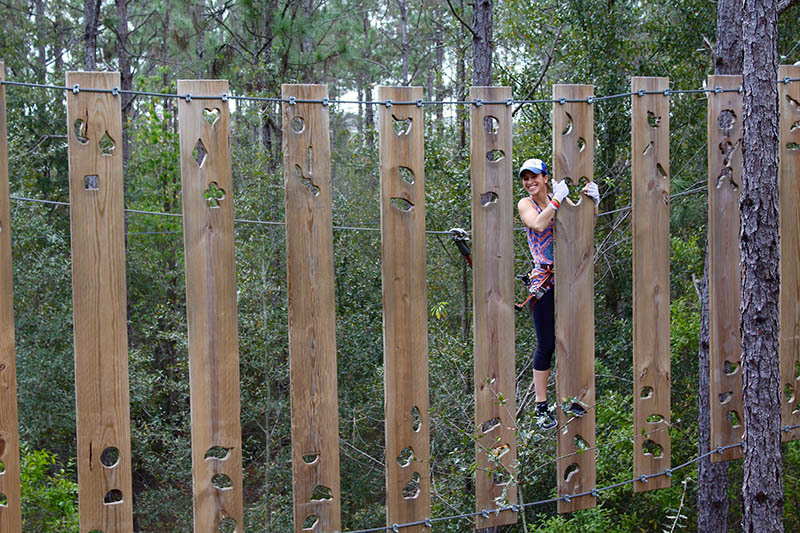 I’ve been all over the world and on many zip lines but I’m excited to go back and try this. They are now also offer for $29.95 a zip only package. That’s great if you want to get in and out of there but I personally love all the rope bridges. Reminds me of being part of Indian Jones. So When I went I got there at 9am and only a few other cars in the parking lot which was awesome because I got right in and suited up. The morning air was fantastic and the sounds of all the birds was like music. I felt as if I was in the middle of a rain forest. By the middle of the trek even under all that canopy of leaves it starts to get hot. Bring water and sunscreen. I’ve been to a few others in Orlando but by far this was my favorite one. Below is some pricing however make sure that you check their website because there prices and times might change. If you guys go please send me pictures and I’ll upload them to the site. 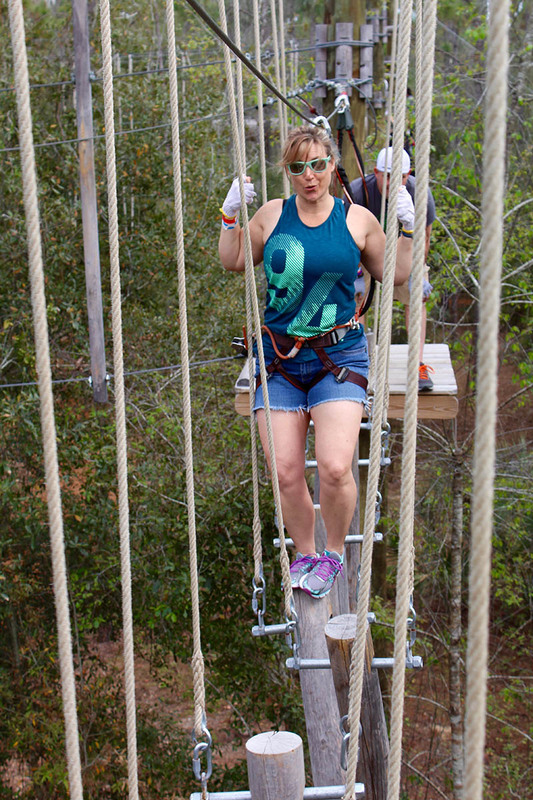 Orlando Adventure Park First of all you will want to go in the morning because if you haven’t noticed the adventures in Orlando can get extremely hot real quick. 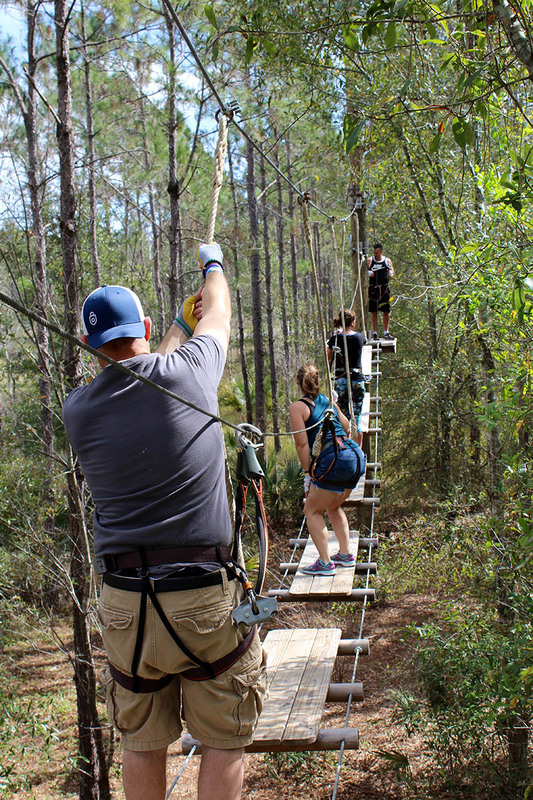 Enjoy Orlando Ziplines ealy in the morning to and let your adventures in Orlando start early with ziplines, nets, Tarzan swings and other fun obstacles for every age and ability.